Coming Soon - More Clothing Options. 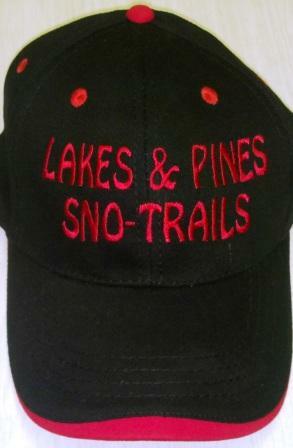 Lakes & Pines Sno-Trails Hats - $10.00 each. Send inquiries to lakesandpineswi@yahoo.com. Send mail to lakesandpineswi@yahoo.com with questions or comments about this web site.